CARACAS - Venezuela's presidential election race was underway on Wednesday, with favorite and incumbent Nicolas Maduro signaling an "anti-Trump" platform while demoralized foes scrambled for a candidate and feared an unfair vote. Foes say Maduro, 55, a former bus driver who succeeded Hugo Chavez in 2013, has ruined a once-prosperous oil economy, turned Venezuela into a dictatorship and skewed the election system to perpetuate power for his Socialist Party. Officials say they are fighting a U.S.-led right-wing conspiracy determined to end socialism in Latin America, hobble Venezuela's economy, and steal its oil wealth. "Donald Trump is not the boss of Venezuela!" thundered Maduro at a rally late on Tuesday, after the pro-government Constituent Assembly legislative superbody said the vote would be held by April 30. Trump said last year a military intervention was an option in Venezuela, though he dialed down the rhetoric after a strong regional backlash to that comment. 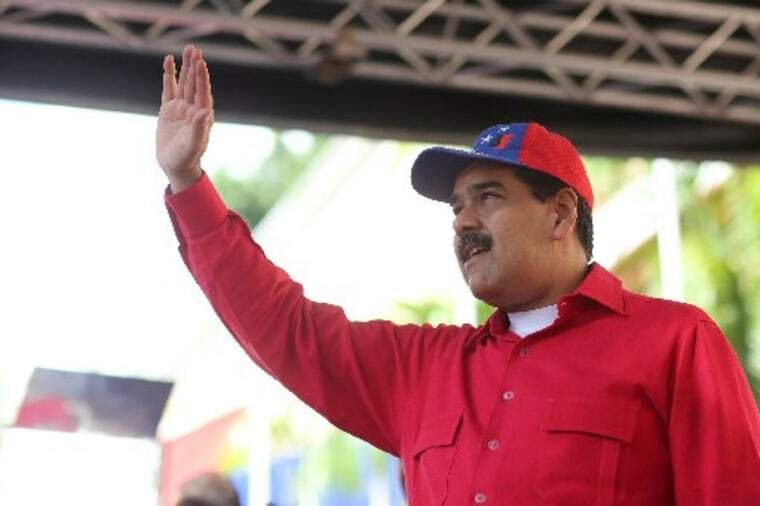 Maduro's candidacy appears a formality: he says he will stand if the Socialist Party wants him, and party leaders say there is no other candidate under consideration. The president's approval ratings have plunged during a brutal four-year recession caused by failed statist policies such as decade-old currency controls and the fall in global oil prices since 2014. Foreign sanctions against Maduro's government, including a U.S. prohibition on investors dealing with any new Venezuelan debt, have exacerbated the grim panorama as millions suffer food and medicine shortages and the world's highest inflation. But having survived massive protests last year and consolidated his grip, the international pressure has now given Maduro a powerful rallying cry to seek re-election. "Faced with more sanctions, we say more elections ... The people rule in Venezuela, not empires," he added in Tuesday's rally, getting straight into campaign mode with jingles from past elections. "I'm ready ... We're going to win big." Venezuela's opposition, which brought hundreds of thousands onto the streets last year in an attempt to oust the unpopular Maduro, is in a quandary. Its most popular figures are prevented from standing: some are in jail, others in exile or barred from politics. "The election will be held on Maduro's terms, allowing him to ensure his victory," the Eurasia consultancy said. "All of this will come at a cost of increased international isolation, something that the government seems willing to stomach if the tradeoff is to lose power." Militant opposition supporters believe it is useless to fight the socialists at the polls, given the election board - whose head is on U.S. and EU sanctions lists - favors the government and turns a blind eye to use of state resources. Electoral council documents seen by Reuters appeared to show pro-government numbers were inflated in last year's Constitutional Assembly vote, and the opposition produced strong evidence of fraud in Bolivar state during governor elections. "The dictatorship does not want free elections. No-one in Venezuela or abroad should support another of Maduro's farces," said Antonio Ledezma, a hardline opposition leader who recently escaped house arrest to flee to Spain. If Ledezma and other militants campaign for a boycott of the election, that would complicate the already disparate Democratic Unity (MUD) coalition's avowed plans for a primary election to choose their best unity candidate. "To participate or not, vote or not, protest or not? If we're not united, no strategy will work. If we go forward together, nobody can beat us," said young opposition leader Hasler Iglesias. Two opposition leader, Henry Ramos and Henri Falcon, have already announced presidential aspirations. But both are divisive figures within the opposition: Ramos is seen as too old-school by many, while Falcon is viewed with suspicion due to his origins within the ruling "Chavismo" movement. Given the dreadful state of their economy and years of bitter political standoff, many Venezuelans are fed up with all parties and yearning for a fresh face. Some have been calling for Lorenzo Mendoza, the long-haired billionaire head of Venezuela's main private food company Polar, to stand, but he has given no hint he will. "For sure, the majority wants an outsider," said Caracas-based political consultant Dimitris Pantoulas.